Jason Hencher was born 2 months early, weighing only 2lb 14oz. He progressed really well, spending 4 weeks in the Neonatal Intensive Care Unit (NICU), before coming home. At about 8 weeks old, Jason became ill with Pneumonia and was very lucky to survive. The aftermath of this then left a weakness in his chest causing breathing difficulties, which meant he was back in hospital on a weekly basis. Things just weren’t progressing as they should, so tests were done when Jason was around 6 months old. 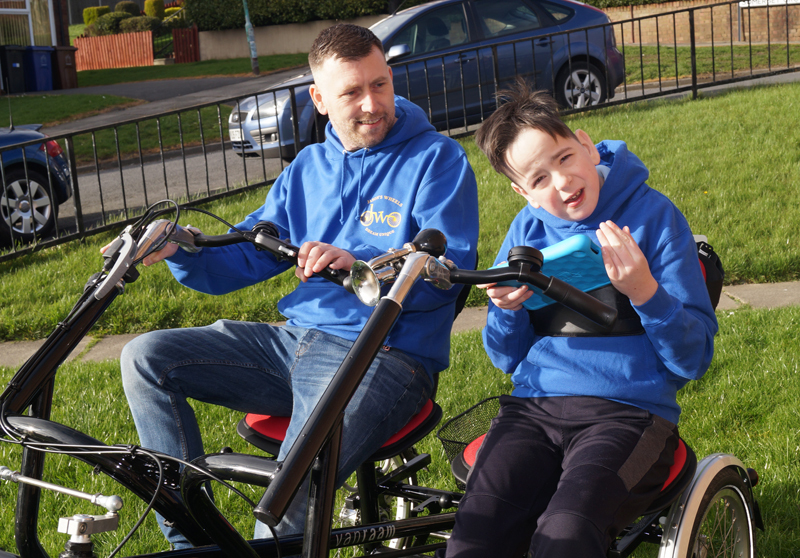 The results were a massive blow to his family, as Jason was diagnosed with a Chromosome Translocation between his 8th and 13th pair. His family were informed that this was unique. Consequently, there was no way of knowing what the future held for Jason. 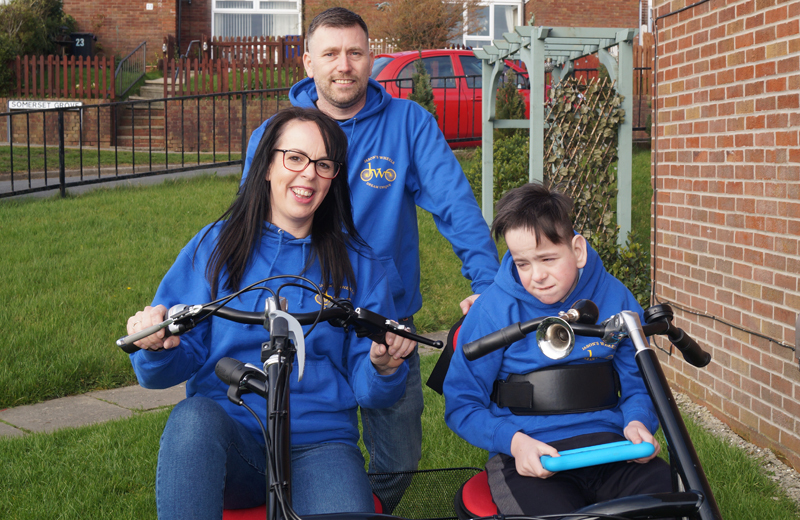 The Translocation had caused Jason’s brain to develop abnormally, and even more worryingly, his prognosis was only to live until he was a young adult, and have very limited function. Good News was on the horizon, however, as after three very scary years, Jason was proving them wrong. He started to get stronger and increasingly became aware of his surroundings. With a few more years of intense therapy Jason was beginning to use his hands, able to sit up, and even able to master a few steps. 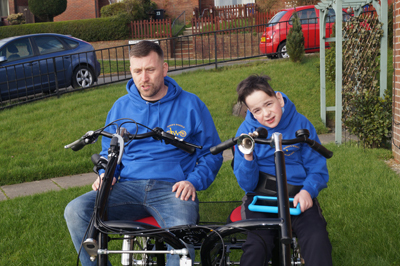 Jason who is now 13 years old is severely delayed, and has no form of verbal communication, but he has a massive character, and just wants to do everything that his brothers and sisters can do. 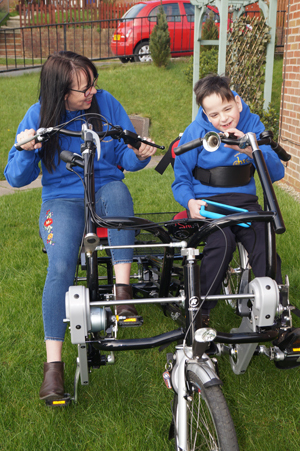 The family raised funds to buy the bicycle seen in the pictures and would like to raise money to help others. 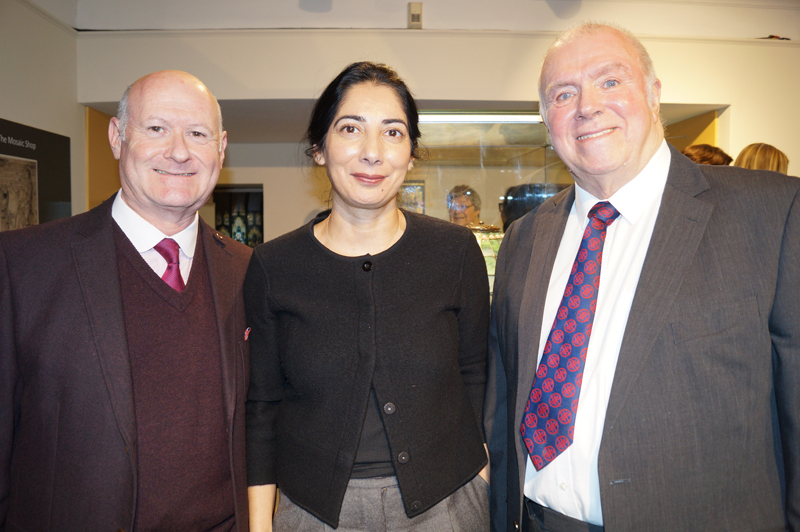 Haworth Art Gallery hosted a gathering to mark the opening of the newly named Joseph Briggs Tiffany Room on December 12th 2018. 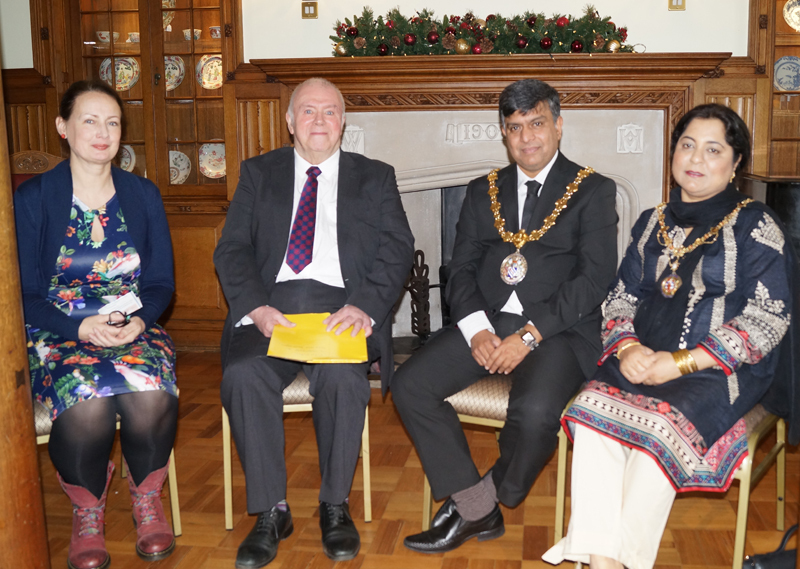 Amongst invited guests were Hyndburn Mayor and Mayoress, Councillor Mohammad Ayub and Mrs. Noreen Ayub. Also present was author Douglas Jackson, writer of the book Mosaic which outlines the history of Tiffany Glass and the part Joseph Briggs played in it. Other guests included David Townend, who is the Great Nephew of Joseph Briggs and Misba Khan who came along to support Douglas. Misba recently completed and expedition to the North Pole. Misba and Douglas are both associates of the Winston Churchill Memorial Trust, a group which funded their respective research areas. 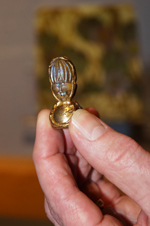 David brought along the only piece of Tiffany Glass still owned by the family and possibly the smallest example in the world. After the initial speeches the audience and speakers moved on to the new room to view the exhibits. Haworth Art Gallery curator, Gillian Berry provided us with the following article, extracted from her dissertation on the subject. Joseph Briggs, a working class man from Accrington, was destined for a life as a third generation engraver creating designs to be printed onto cotton. Like his grandfather, father and brothers, Joseph began an apprenticeship at F. Steiner and Co. Church, who were renowned worldwide for their fine printed cottons. Alongside the practical training gained at the factory, Joseph went to the Mechanics Institute in Accrington to study and he gained a first class pass in art learning skills such as geometry, drawing and colour layering. However, at age 17 in 1891, he decided to cross the ocean to America to see what life had to offer there. After a short spell working in the Wild West Shows, he decided he wanted to make use of the skills and qualifications he earned in his home town and applied for a job at Tiffany Studios, New York. After several attempts at gaining employment Joseph was taken on as an errand boy. He soon became an apprentice in the mosaic and stained glass department using the skills he learned in the cotton trade and transferred them to mosaic making eventually becoming the foreman of the department. When Louis Comfort Tiffany retired in 1919 Joseph was entrusted to run the business, but perhaps the highest honour Joseph could receive was that after Tiffany passed away, Joseph carried on running the business and Tiffany Studios closed when Joseph passed away. During the Great Depression Tiffany Studios went into administration leaving Joseph to dispose of large amounts of Tiffany glass for the highest price he could obtain. At this time Joseph selected around 140 objects of Tiffany glass to send back to his home town. Between 1932-33 three consignments of American Tiffany glass were sent to the Museum in Oak Hill Park. The collection consisted of mosaic designs and samplers, pressed glass tiles, vases, ceramics, and designs for mosaics. During World War II the collection was moved to Haworth Art Gallery. 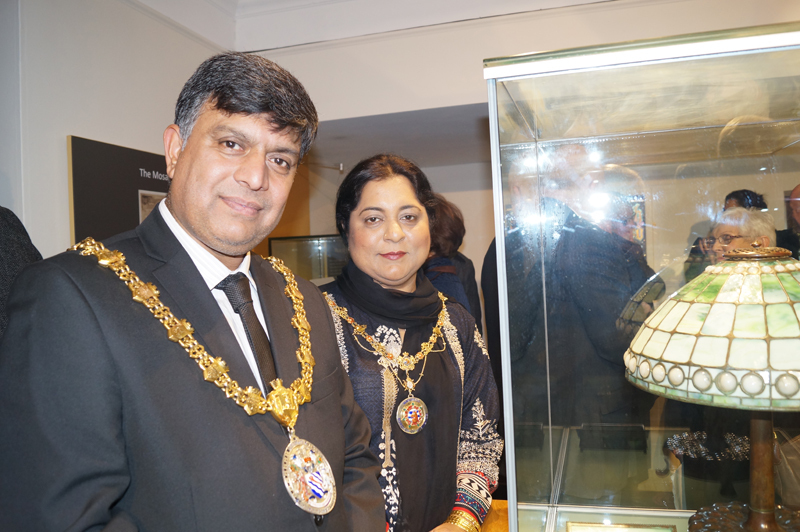 Thanks to Joseph, Haworth Art Gallery in Accrington now boasts one of the best collections of Tiffany glass outside of America. One of the Tiffany rooms has been transformed to tell Joseph’s story making sense of an American collection of glass in the North West of England. Joseph’s story is inspiring and shows that the skills you learn in your home town can take you across the world and earn you the job of your dreams. 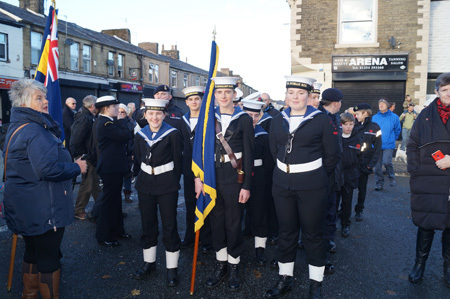 The morning rain, which had dampened the Accrington Commemoration at Oak Hill Park, had thankfully cleared by the time we assembled at 2 p.m. for the Oswaldtwistle Parade and Service. 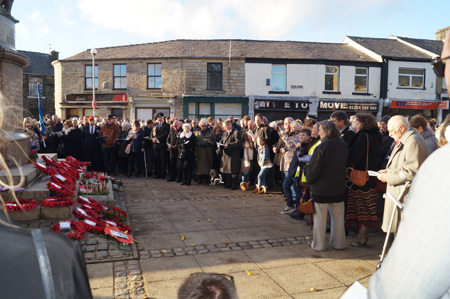 Though always well attended, today’s event had a very special meaning as we were commemorating the Armistice at the end of the First World War, when the guns fell silent at 11-11-11 – the eleventh hour of the eleventh day of the eleventh month. 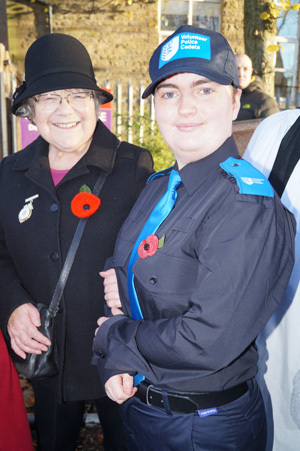 It seemed fitting that this year, Remembrance Sunday fell on actual Armistice Day – 11th November. I had to put a spurt on to reach the bottom of New Lane in time for the start of the Parade. 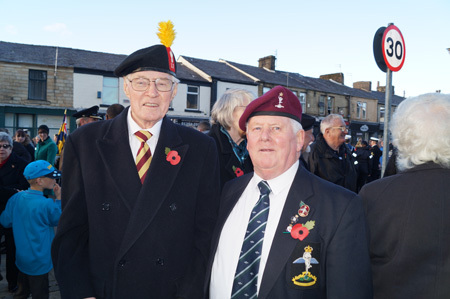 The buses had already stopped running up Union Road in anticipation of large crowds lining the route down to the Cenotaph. 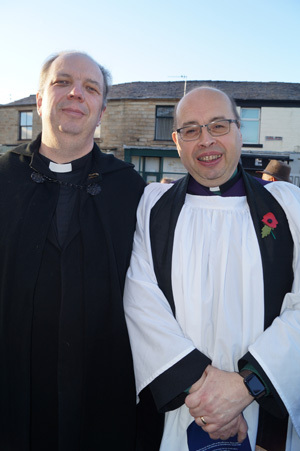 I joined members of the Royal British Legion, fellow-Councillors and local clergy to begin the march down Union Road. 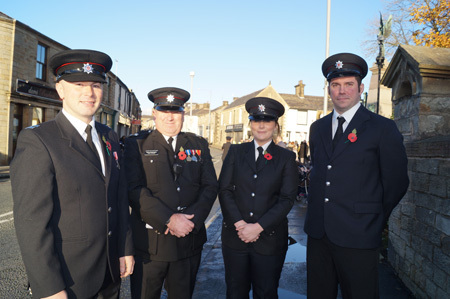 Emma Kearney, landlady of the ‘Black Dog’ pub, is a fairly new arrival to the town but has already made her mark on community life in Oswaldtwistle. The railings of the pub were decked with ceramic poppies, each with a label bearing the name of a local soldier who had died in the First World War. At the side of the pub on Bury Street was the Thwaites Brewery Dray, resplendent with its magnificent shire horses. Former Mayor and Mayoress Paul and Sarah Barton, local funeral directors, who had been involved in the arrangements for the Dray, stood proudly at its side. The horses were there for a particular reason. During the First World War, when motorized transport was still in its infancy, many animals were ‘conscripted’ into service. According to the Imperial War Museums’ website, horses, donkeys, mules and camels carried food, water, ammunition and medical supplies to men at the front, and dogs and pigeons carried messages. Canaries were used to detect poisonous gas, and cats and dogs were trained to hunt rats in the trenches. Altogether, over 16 million animals served in the First World War. I think the film ‘War Horse’ will have brought home to many of us the role played by horses during that conflict. In 2016 a ‘purple poppy’ was introduced to pay tribute to the many animals lost in service, and to those who serve us today. It was only when I saw photos on Facebook afterwards that I found out that a number of local horse-riders had also taken part in the Parade, thus paying their own personal respects to the fallen animals. 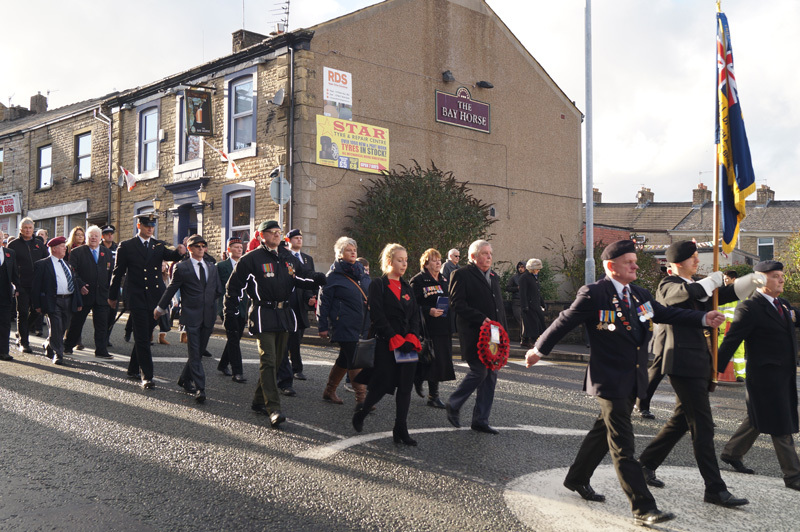 The whole length of Union Road was lined on both sides by Oswaldtwistle residents old and young, many taking photos of the event. On approaching the Cenotaph we saw a huge crowd already gathered there. 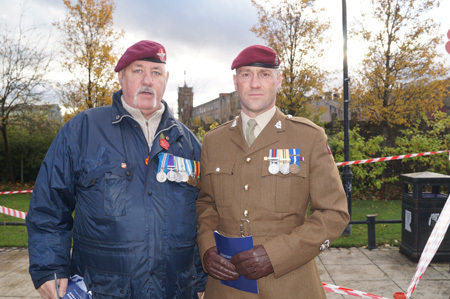 The Parade ‘fell out’ and we all took our places for the Act of Remembrance. 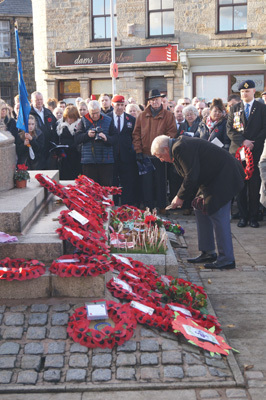 We are fortunate – if that is the right word – that our Cenotaph is in the town centre rather than in some remote Park, in that it’s so much easier for people to access, including elderly people, those with disabilities and those with babies/young children. 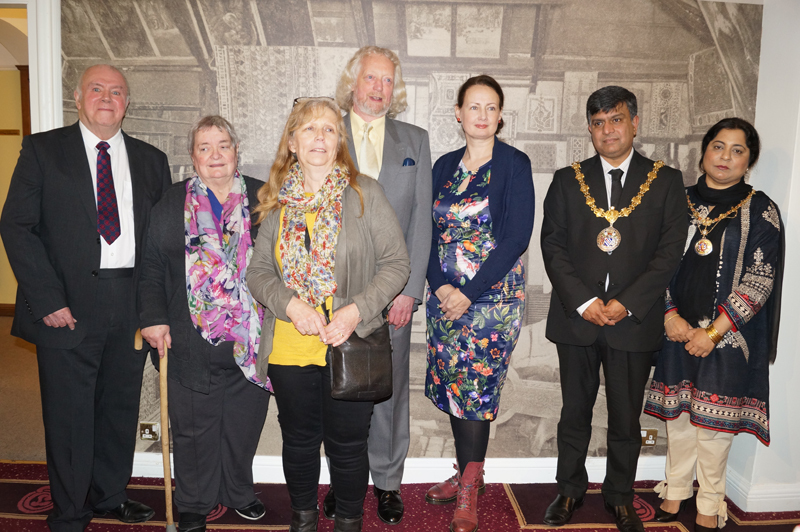 Hyndburn Borough Council had co-ordinated the arrangements for the day and in this context I would particularly like to thank Susan Gardner from Democratic Services for her time and attention. 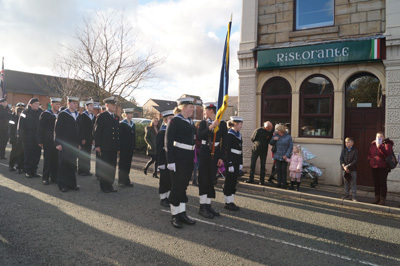 She had managed to secure us a band and a bugler – both in short supply/big demand this year, with so many commemorations taking place at the same time. 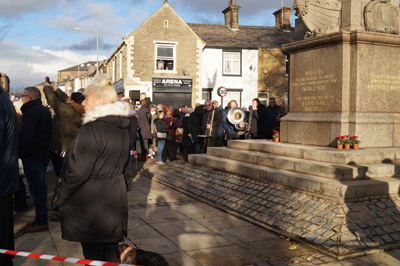 We greatly appreciated the music provided by the members of the Darwen Brass Band - including some young people – for both the Parade marching and later for the hymn-singing. As I took my place next to the clergy – Rev. Capt. 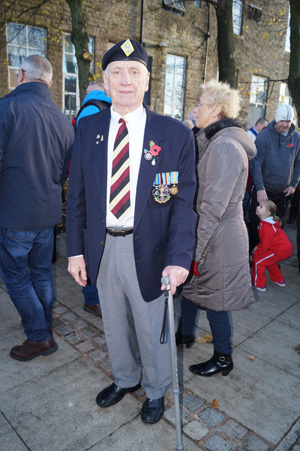 Martin Joss (Church Army) and colleagues – I looked to my left and saw a large group of Beavers with their Leaders; behind them were Cubs and Scouts. I saw from photos later that there were also many Rainbows, Brownies and Guides, plus I think members of the Boys’ and Girls’ Brigades. 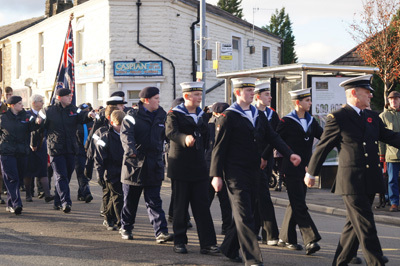 When I was Mayor of Hyndburn a few years ago I soon began to appreciate what a vital role such uniformed organizations – including Army, Air, Sea and Police Cadets – play in our community in training young people to acquire a range of skills, work together as a team in an enjoyable environment and most of all learn to put the needs of others before their own. The Leaders of these organizations have sometimes carried out their voluntary roles not just for years but for decades and should be commended as ‘unsung heroes’, helping to shape the lives of our future adult citizens. Some of the children present were as young as five, having just started school. 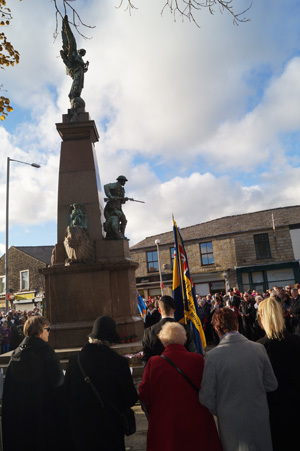 In my speech at the end on behalf of the Church and Oswaldtwistle Branch of the Royal British Legion I said that I hoped these children never had to experience war in their own lifetimes. 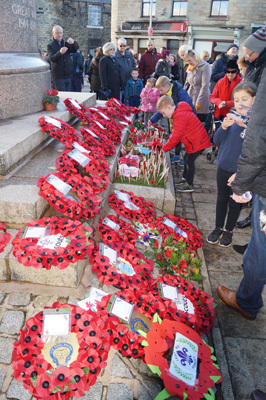 I can’t really imagine how difficult it must be for school teachers and youth leaders to convey to children and teenagers what war is all about and help them to pay their respects to those from their own town who were killed in the First and Second World Wars and other conflicts since. Even my generation (around age 70) has never had to experience war for themselves. Many people and organizations came forward to lay wreaths, crosses and other tributes. I went to look at them and photograph them the following day. Among them was an oblong panel from St. Mary’s R.C. Primary School headed ‘Thank-You’, on which the children had placed stickers with their own individual messages. 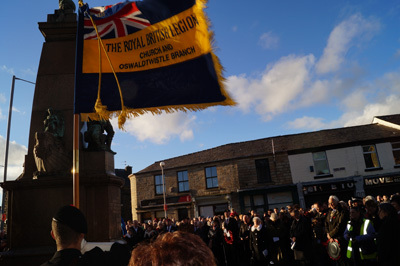 The Oswaldtwistle Cenotaph is a very distinctive landmark in our town. It’s designated as a Listed Building, Grade II*, by Historic England, formerly English Heritage and was designed in 1921 by L. F. Roslyn. On the top is a statue of a winged figure representing Victory and at the base of the obelisk is a statue of a soldier protecting a comrade. 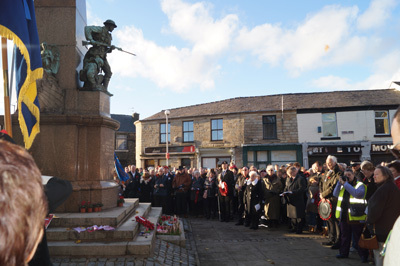 The War Memorial commemorates Oswaldtwistle citizens who gave their lives in the First World War, the Second World War, the Korean War and in Northern Ireland. Tuesday 1:30 – 3:00 Knit and Natter. A social knitting group who join up to swap patterns and have a natter over a cup of tea, also help people who are learning wool crafts including crochet and knitting. Free for everyone with donations for refreshments, just turn up on the day. Friday 10:15-10:45 Baby Bounce and Rhyme. Aimed as babies and small children, packed full of sing along songs and great fun had by all. Free event for all, just turn up on the day. Writers group - 2nd and 4th Friday of each month at 2 p.m.
14th July 12:30-2:20 Poetry workshop with special guest Nicola May. Nicole is a poet and member of Young Identity, a Manchester spoken word collective. 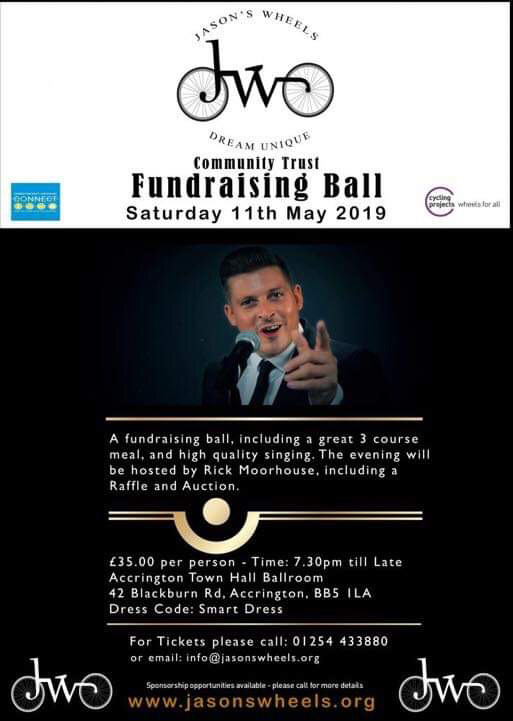 Attendees will be able to work with one of the North West's best up and coming spoken word artists to create their own poetry in a fun and interactive workshop. This event is free, no booking required. Knit and natter every Monday (except 3rd in the month) 2.00-3.30 p.m. all abilities welcome. Reading Group 3rd Monday in the month 2.00-3.30. Scrabble Club (alternate weeks) next games 13th May, 27th May, 10th June. Etc. Baby Rhyme Time every Thursday (except 2nd of each month) 10.45-11.30. Coffee Morning with guest speaker every 2nd Thursday in the month 10.30-11.30. 14th May, 11th June, 9th July, 10th September, 8th October, 12th November. Shared Reading 1.30-3.00, join in reading together or just sit back and relax and be read to, very informal.